" Express, comment and communicate ideas collaboratively"
It helps us to create projects, hold meetings or generate work discussions online and at any time. The program has everything to help us organize ideas and work as a team: templates, reports, notes, colors, forms, possibility of uploading files from the computer or from OneDrive, chat, personalization and the possibility of inviting anyone we need. It is very practical and really collaborative. When I enter the page, the program gives me a summary of my activities and this seems perfect to me, however, the format in which this section is presented is a little sketchy, many letters and information that give more clutter imprención, I think the aspect could be improved. 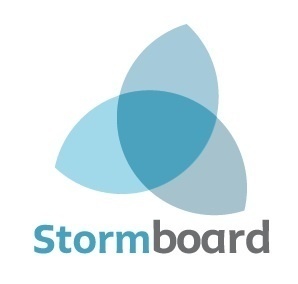 Stormboard, more than a tool is a digital resource that allows us to work collaboratively to develop activities, work discussions, organization of group projects, brainstorming. The interface is nice and easy to use and inviting others to collaborate is also a simple task. It serves for schools, companies, individuals, that is, it is adaptable to any profession, labor field or organization. We work from anywhere without having to set extra hours to make our proposals or meetings. We can generate diverse teams according to the project, discussion, school grades, specialties or subjects. "Create, review and organize projects"
It helps generate brainstorms between teams, I simply create my proposal with the template that best suits what I want, I invite my colleagues and we build, contributing or commenting through notes, chat. I must add that you can make a report of what was done in different formats and with a very nice design and ready to print. After trying other options, I stayed with Stormboard for its ease, design and practicality. Perfect to create basic storms of ideas, calendars or more advanced business models, meetings, sales, you just have to choose the right template. The team with which you want to work will receive an invitation and without downloading or waiting you can start working immediately and online. I usually work at a distance so it is possible for me to make a proposal and invite a selected group by sending them an invitation and start working immediately. No downloads, easy and online. "Create ideas and plan as a team"
It has multiple options to help us develop ideas and make decisions in team and in real time. It has numerous templates that adapt to the different phases of the process, from brainstorming, data coding, planning to developing solutions. It is practical, easy and collaborative. I have not implemented it for a long time, but until now it has worked perfectly and people adapt quickly. It has numerous templates to guide the administrator and his team in the task they wish to perform, they are organized by categories, types of work and frames. You can send text, images and videos through personalized invitations for everyone to collaborate. At the end you can hierarchize these ideas and opinions just by dragging the notes. Achieve ideas, discuss them and plan strategies in one place with the collaboration of the entire team. "An ok digital version of sticky-notes-on-a-whiteboard"
The biggest advantage of Stormboard over sticky-notes-on-a-whiteboard are: (i) that our remote team members can participate in our brainstorming sessions, and (ii) it's a lot easier to record our work for later review. Unfortunately the software itself is a little clunky and the UI is log overdue for a facelift. Give it a go. It's not terrible and I really want to see it succeed, but it still feels like a beta product. That said, we've had some good success with it over the last year or so. We use "Business Model Canvas" a lot when developing new product ideas and have been looking for an elegant way to do this in an online workplace with remote teams. Stormboard is good, but they haven't quite solved the (admittedly quite challenging) UI problem of shrinking a whiteboard down to the size of a laptop screen while keeping it user friendly. I love how you are able to collaborate with many people to develop ideas. There are many options/tools to play around with and you can even color code which is one of my personal favorite strategies when planning. Not all features are available without a paid subscription, which I understand, but it would be nice to be able to do certain things like edit heading without a subscription. If you are using Stormboard, be sure you look into what you can and cannot do with the subscription. It might just end up being worth purchasing. You can also connect this software to other platforms like Slack, which is a good place to plan when you are having remote metings. I have been able to use Stormboard in multiple positions. I have used it in my class to have my students brainstorm for essays and group projects. I have used it for personal projects as well. This tool is great for collaborative brainstorming. It's pretty easy to use, although there is a bit of a learning curve- sometimes things don't function exactly as you'd expect. Works well for collaboration. Good for creating, assigning, and checking off action items. Stormboard is user friendly and easy to use. The software allows my team and I to collaborate and brainstorm ideas for projects, proposals, and more. Sometimes it is challenging to see everyone’s ideas in one spot, or having to scroll to find something or change the view. By collaborating and working online we are more efficient with our time and it saves people travel time to work. The benefit of having stormboard is to guarantee everyone’s voices and input is heard and that it is a team effort. "Great Collaboration Tool; Could Be More User-Friendly"
Great for creating, assigning, and completing action items for group collaboration. Not the most user-friendly. There's a small learning curve for people who understand how to use online tools, but wasn't as intuitive for those unfamiliar with using these types of tools normally. More organized collaboration and project tracking. 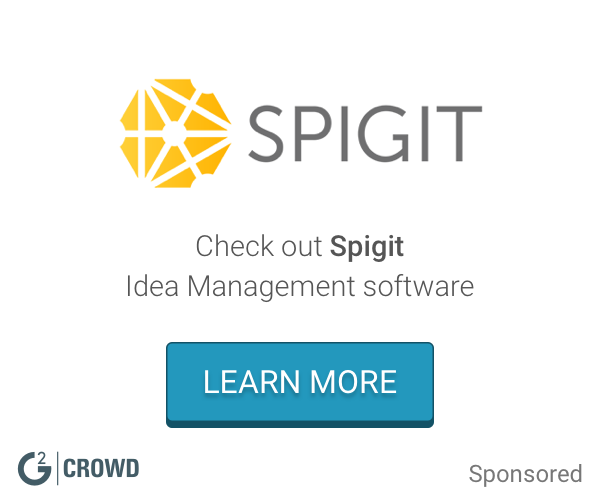 "Great method of creating ideas." I love that you can get input from others to create ideas using this platform. It allows me to collaborate in real time to create projects. I dislike how the program was a little difficult to get accustomed to at first. Stormboard helps businesses create creative ideas for future projects. * We monitor all Stormboard reviews to prevent fraudulent reviews and keep review quality high. We do not post reviews by company employees or direct competitors. Validated reviews require the user to submit a screenshot of the product containing their user ID, in order to verify a user is an actual user of the product. Hi there! Are you looking to implement a solution like Stormboard?